I’d like to transport you to a time in the far past, back to the very early 500’s B.C. The long exile of the people of God from the land of promise has ended. The rebuilding efforts of Ezra and Nehemiah are in progress, Zerubbabel has been working on the completion of the temple, Haggai and Zechariah have been preaching on the centrality of Yahweh for his people, and wave upon wave of Jews are returning to the land of promise. Imagine it. Some in the group would have been very old, and they are returning home. But many of them have never been a part of the land of promise, this place that God had chosen for his chosen people. And remember how important place was in the Ancient Middle East. Place determined your people, your culture, your worship, and your gods. And this people had long been in a foreign land. Imagine their return now, as they have made the long trek from 127 provinces of the empire of Persia, streaming back to the land. They had nothing with them. They were weary, and weighed down. They had lost their sense of identity—ethnic, religious, and cultural—living in a foreign land, whose rulers’ goal was to assimilate them. Any feelings of expectation and any certainty about the outcome of their lives—hope—had evaporated in the face of overwhelming doubts, leaving hopelessness in its place. All they had were questions. What is our connection with the past? How are we supposed to act, what are we supposed to do…now? In the book of Chronicles we find the writing of a man on a mission. He wants to answer those questions. And the interesting thing is that many of us have the same questions still today, over 2,500 years later. And if we don’t, we are surrounded by people who do. And the answers this writer provides and points to in his chronicles are just as relevant today as they were then. I invite you now to watch or listen to the sermon on Chronicles. And if you’d like to study the book further, I commend the Chronicles page over at the Bible Project. 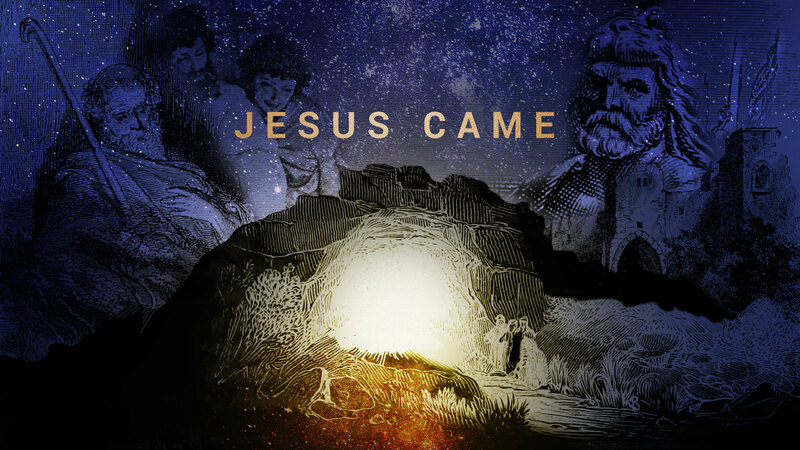 Finally, this Sunday we will begin our a new sermon series for the Advent season entitled Jesus Came. We will focus on the incarnation of Jesus, and what it means for the world, over the next four services. I think you will be deeply encouraged by this study of the coming, life, and mission of Christ.